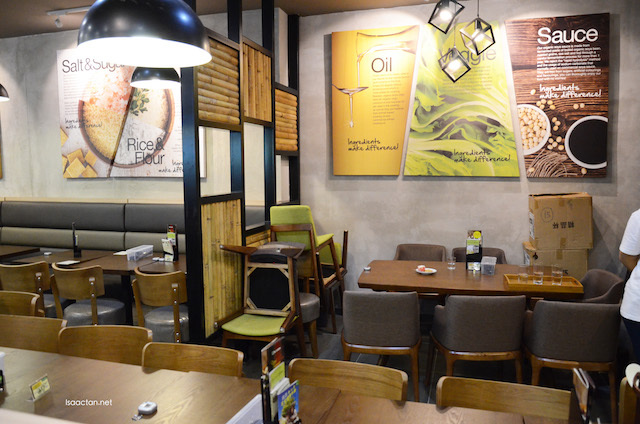 I've always been a fan of the healthy dishes served by BMS Organics , meatless yet delicious. 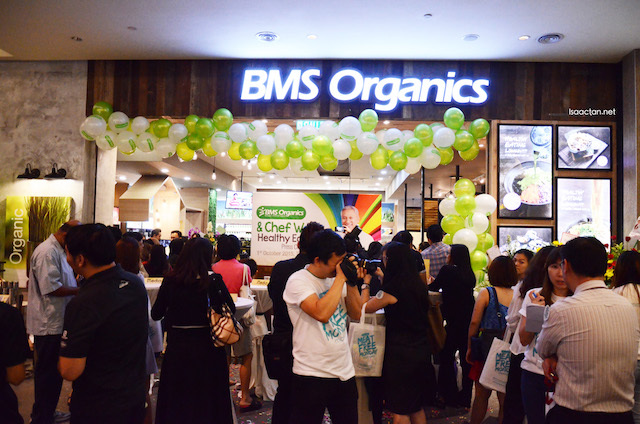 Just last week I was at their latest BMS Organics store opening at Midvalley Megamall, where they launched the Meat Free Monday campaign simultaneously. 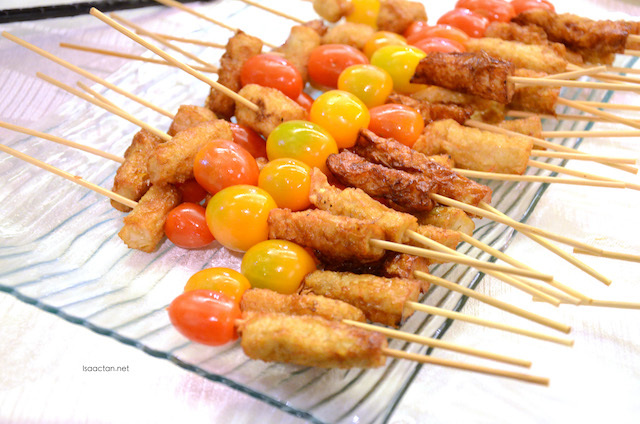 The event was graced and is in collaboration with celebrity chef, Chef Wan. Having a healthy, balanced diet is an essential part of maintaining a healthy lifestyle. However, more often than not, it is easier said than done in Malaysia, a multiracial country renowned for its Malay, Chinese, Indian and Peranakan cuisines. It becomes even harder when most of us believe that healthy food offers less pleasure to the taste buds. 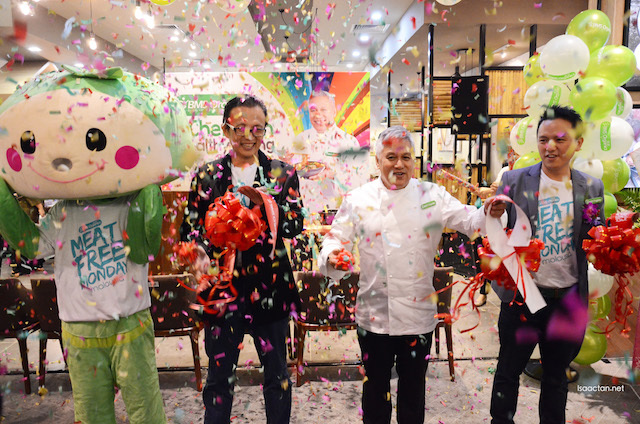 Celebrity chef Datuk Redzuawan Ismail or fondly known as Chef Wan, is now on a mission to help Malaysians eat healthy and to dispel the misconception about healthy foods. 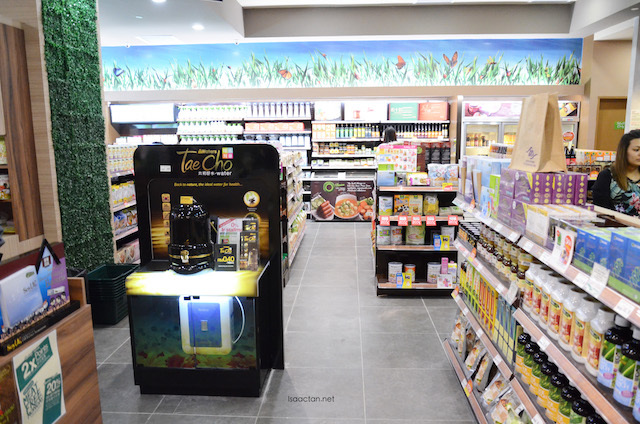 To achieve this, a strategic collaboration has been formed between Chef Wan and BMS Organics, a leading retail chain in promoting healthy organic living. 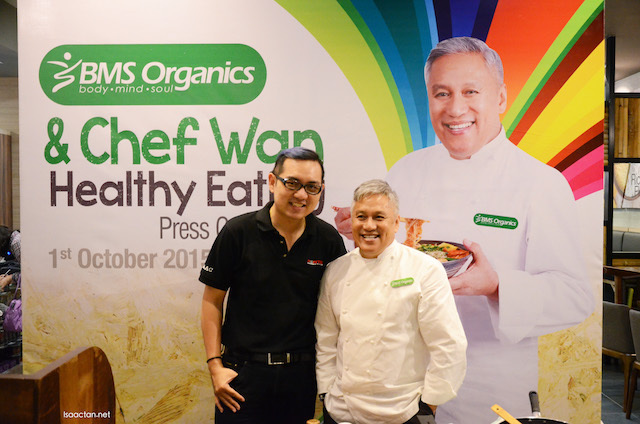 “BMS Organics and Chef Wan share a common vision to help Malaysians eat healthy and lead a wholesome lifestyle. 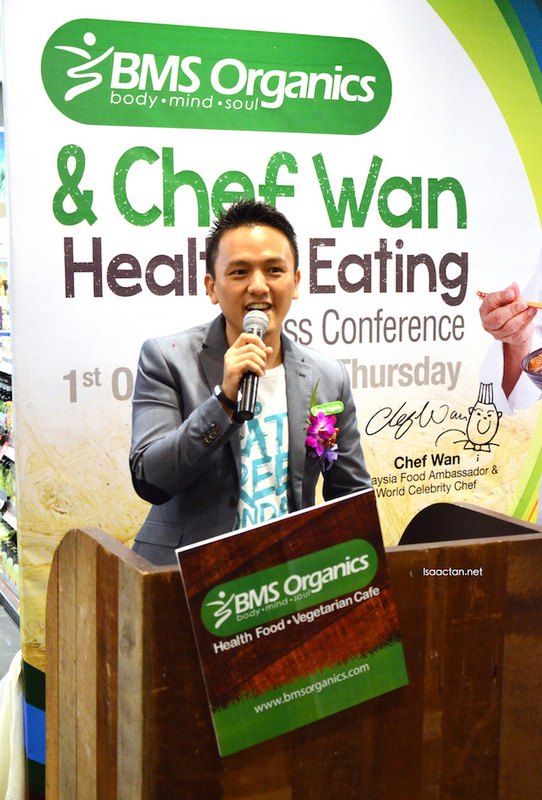 By harnessing Chef Wan’s culinary passion and expertise, we can create delicious, nutritious Malaysian dishes by using our organic, eco-friendly produce and products,” said BMS Organics COO, Mr Terry Lee. 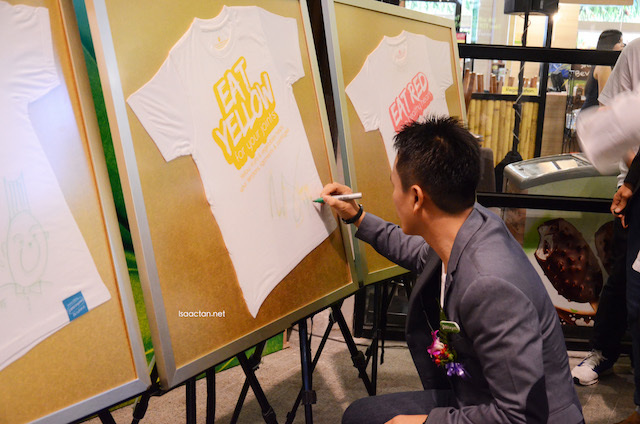 Together, Chef Wan and BMS Organics dished out 3 Malaysian favourite dishes, the Nasi Lemak, Organic Soya Milk Curry Laksa and Asam Laksa Vermicelli Soup, each given a new twist. I love how Chef Wan makes everything looks so easy, whipping up the delicious dishes in front of the media and guests at the launch. 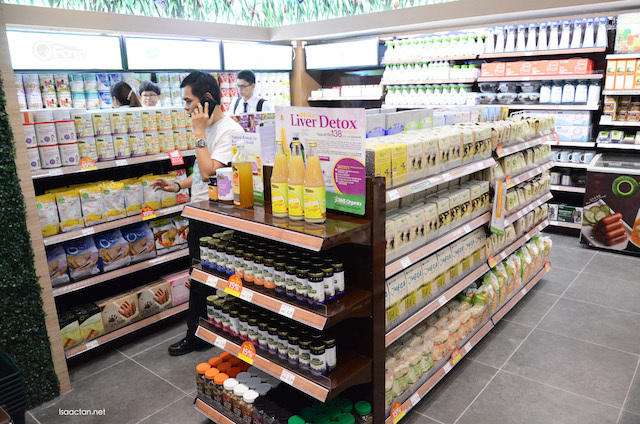 “We Malaysians love our lip-smacking cuisines, especially curry and meat, but our passion for flavoursome food has become increasingly unhealthy. As a chef, I take it my calling to help Malaysians develop a healthy eating culture,” said the internationally renowned chef. According to a 2013 study by UK medical journal Lancet, Malaysia has been rated as the highest among Asian countries for obesity. Compared to global rates of around 30%, nearly 45% of Malaysian men and 49% of Malaysian women are overweight or obese. Obesity is known to be one of the risk factors of diabetes and heart diseases; the number one silent killer in Malaysia. “It is generally known that our daily diet tends to lack wholesome fibre. 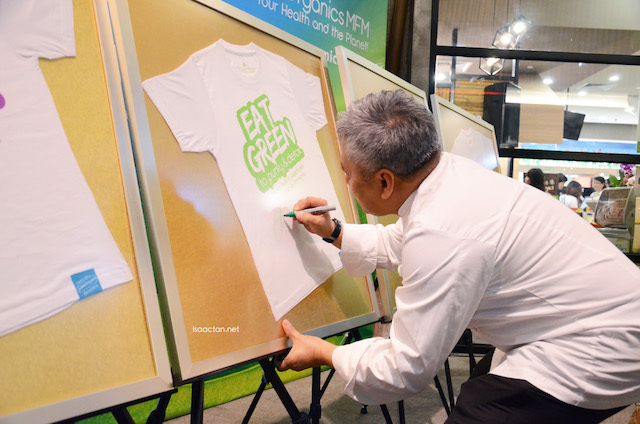 That’s why in this quest for a healthier Malaysia, I have given our most-loved dishes extra fiber power by choosing fresh organic vegetables and products from BMS Organics,” said Chef Wan. As organic foods are rich in fiber but low in sugar and fat, they help to reduce the risk of high cholesterol and high blood pressure caused by unhealthy diet. Certified organic produce and products are free from pesticides, artificial flavours, colours and preservatives. As such, they also help lower exposure to chemicals that are harmful to our health. 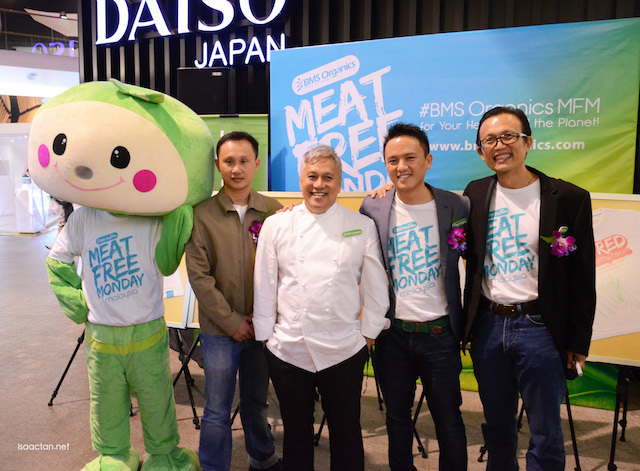 “Our collaboration with Chef Wan is part of our initiative to promote Meat-Free Monday. By skipping meat on Monday every week or once a week and substitute it with tasty, healthy meatless meal, we can make a world of difference to our health and the planet,” said Terry Lee. 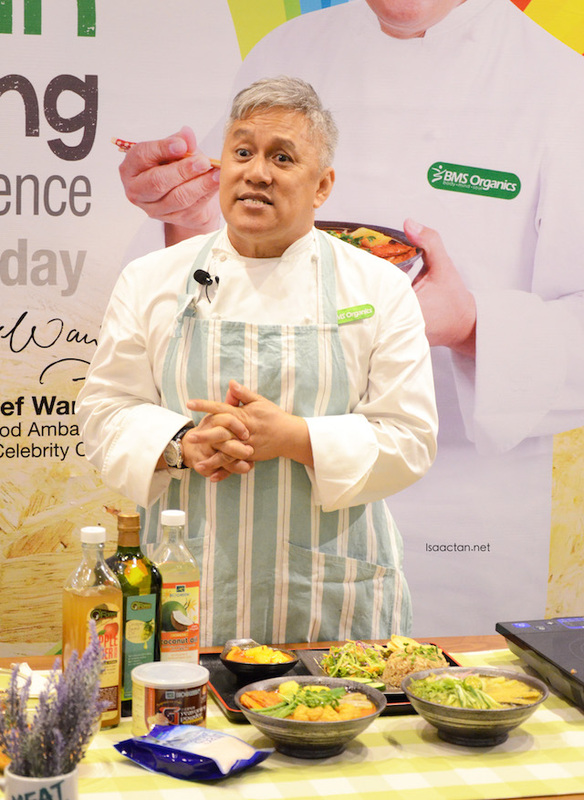 The three wholesome organic recipes by Chef Wan will be made available on BMS Organics’ official website at bmsorganics.com so do check them out today! Vegetarian's expensive here, freshly made/cooked ones...not too sure about those products that I do see at the shops here sometimes. For me, I stick to meat-free Fridays...every week. I've always told myself that I have to start eating healthy but have not gotten around to it. Your post is a good reminder to start TODAY! wow Chef Wan, never been this close with him before. You are lucky! I like organic food... I suppose organic means healthy food too! Nice..
wah isaac go for meat free. mana ur sirloin? A good mission for Malaysians! lets starts meat free monday!